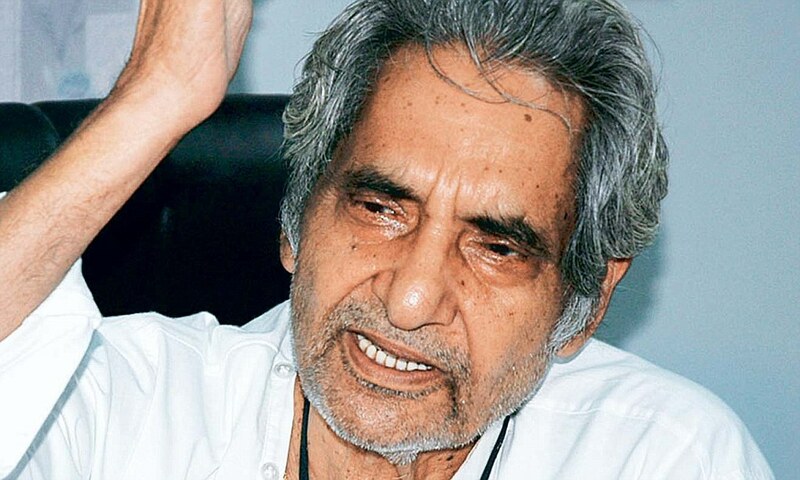 One of the most famous personalities associated with Hindi literature, Gopaldas Neeraj is one of the best poets and lyricists that India has ever produced. He was born in the year 1925 and was an indispensable part and participant of Hindi Kavi Sammelan. He is commonly known as Neeraj and is known for his highly understandable and simple works. These works are some of the treasures for the Hindi literature and have deep meanings associated with them. Owing to his writing skills and highly impressive works, he was awarded with two of the most prestigious awards Padma Shri and Padma Bhushan by the Indian Government. These awards testify regarding the expertise he had in authoring books and writing songs. His pen turned words into magic which when given the tunes by the music directors turned out to be super hit songs of all times. Gopaldas Neeraj was born in a small village in Uttar Pradesh. He started off his career as a Professor in Hindi literature in a college in Aligarh. He got into the field of writing songs during his teaching tenure at Dharma Samaj College, Aligarh. He found time between his works to produce some of the marvels of Hindi literature. Most of his writings of those times were used as songs in most of the Bollywood movies that released during those times. He used to write songs both in Hindi and Urdu languages and this fetched him a lot of attention. He followed his interest and passion irrespective of all the barriers of his work and life and was pretty successful in his field as well. He serves as an example for all those who wish to turn their hobbies and interests into their field of work. This utilisation of his poems in the Hindi movies made him feel unlucky and he restricted all his writings for separate publishing only. The reason behind this feeling in the mind of Gopaldas Neeraj is considered to be the death of some of the music directors who worked closely with him. He was at the crest of success in his career in the Bollywood industry when this happened, and this led him to part ways from the Bollywood industry. Some of his works as a poet include Prem Pujari, Tere Mere Sapne, Chanda Aur Bijli, Sharmili and many more. He could expand his fan base manifolds through his lyrics in all the above mentioned movies. Even parting ways from the industry could not stop Gopaldas Neeraj from being successful and he went on to achieve his dreams. This indeed is something that is essential in every person’s life. Dev Anand enacted on most of the songs of Gopaldas Neeraj which led to even more respect for the poet. Even when the movies flopped, the songs were remembered and this was indicative of how good a poet and lyricist he was. Some of the famous tracks from the pen tips like Rangeela Re, Phoolon Ke Rang Se still mesmerize the listeners with their charm and wordings. Gopaldas Neeraj was nominated for the Filmfare awards three different times and it was Chanda Aur Bijli that fetched him the award. These nominations happened in three consecutive years. Owing to the success of his songs, he was awarded with Padma Shri in 1991 and Padma Bhushan in 2007. Gopaldas Neeraj is one of the most inspiring personalities in the history of India. He was a poet and lyricist, an author in the same flow and serves as an example for all those who strive to follow their dreams to reality.